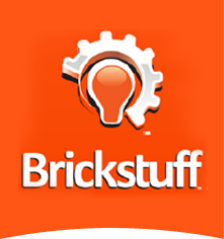 Brickstuff BrickScreen Products - Brickstuff-- Small Lights for Big Ideas! BrickScreen is our name for our line of mini OLED and LCD video screens, designed to add a whole new level of realism and awesomeness to whatever you build. Screens are available in several different sizes and orientations, and each screen is pre-loaded with animations and videos tied to a specific theme. As part of our initial release, we're offering screens featuring HUD displays and multi-function displays (MFDs) for use in military aircraft models, screens pre-loaded with animations from our favorite classic arcade games, screens with custom-created animated sci-fi user interface panels, and a screen with the "DRADIS" radar screen from the TV series Battlestar Galactica. BrickScreens operate on a standard 5V DC power source. Each kit includes a standard Brickstuff power connector and adapter board for connecting to our power supplies (our USB power cable is recommended). Also included is a DIY power cable that can be connected directly to any 5V DC supply, so you can use these screens with non-Brickstuff power sources too. Over time we will be adding more screens and more themes, so if you have a suggestion for something you'd like to see loaded onto one of our screens, send us an e-mail through the contact form on our website and we'll check it out. You can also follow the BrickScreen discussion group on our online User Forum by clicking here. We hope you love playing with these screens as much as we loved creating them, and we can't wait to see how you use them to take your models to the next level. Battlestar Galactica fans rejoice-- you can now add a "real" DRADIS screen to your Viper or Battlestar model. If you love classic arcade games like we do, and if you love LEGO as much as we do, then you've probably dreamed of having a minifig-scale arcade game. Dream no more! We designed this BrickScreen for military aircraft modelers of all types. We created our own custom HUD animation and loaded it onto our BrickScreen video player. This screen is available in two different sizes. Sci-fi modelmakers rejoice! Now you can add animated UI/HUD graphics to your models for an extra touch of realism. Each screen is pre-loaded with 21 custom-created sci-fi animations. Here at Brickstuff, we love classic arcade games, so we loaded pre-recorded animations from a bunch of our favorites onto our BrickScreen OLED and LCD screens. If you build models of military rotorcraft and aircraft, it's critical that your cockpit have animated Multi-Function Displays (MFDs), just like in the real thing! Were excited to launch these OLED BrickScreens pre-loaded with 8 different animated MFDs. By popular request, here's an adaptation of our popular animated classic arcade game console specifically designed to fit in the LEGO® Ghostbusters Firehouse Headquarters (#75827). This brick-built arcade console is the same size as the console that comes with the LEGO® set, but it has been modified to fit our tiny LCD video player.